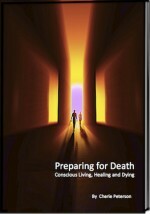 The path from birth through eternal life become less linear the further down it we tread. 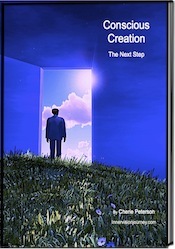 While it may seem that there is a beginning and ending point, definitions change when stepping out of space/time. The eternal now brings new light and expanded awareness. 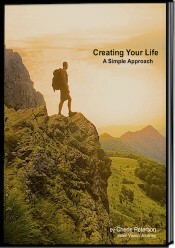 The process of conscious creation is contingent on where we are on our path, what qualities we bring in with us and how open we are to greater insights. Determining our place on the path can be misleading. While we may think of ourselves as highly evolved or not very evolved at all, the whole process must be considered a ‘hypothesis,’ realizing that what we believe to be true is only speculation. There are some guidelines to knowing ourselves, which is what we are called to do again and again in most major world philosophical and spiritual belief systems. 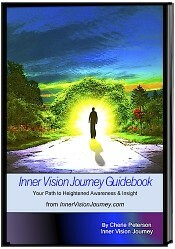 Inner Vision Journey is a personal guide to developing, enhancing and unlocking answers to life’s greatest questions. To encourage self-reflection, visualization and meditation we are offering Creating Your Life – A Simple Approach by Cherie Peterson to people on the path for a limited time at a special price.